Effective communication is both an art and a science and in this blog I’ll give you my latest research and thinking on how to be a more effective communicator both at work and at home – even if you have struggled in the past! If you want to get a raise, here’s exactly how to do it. The best part is that you only need to learn an eight word question! Have you even been in the situation where you had to comfort someone and you didn’t know what to say? If so, this post is for you. You will learn exactly what to say (and not say) to comfort someone in time of crisis or even depression – even if you have low emotional intelligence or no natural empathy. To communicate better – listen better! 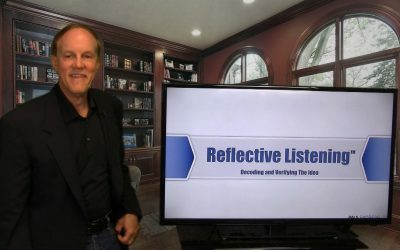 Reflective listening is an easy-to-use four step system you can use to instantly become a better listener by reflecting back to the speaker what they ment by what they said. A fast way to communicate effectively. Here’s the secret to getting the most out of anything that goes wrong. Bad events are going to occur… and yes, we don’t want to pretend that they didn’t – but your internal communication is the key. The way you define and label the event when you think about it will will control whether it moves you forward or holds you back. Here’s how to define and label events when you think about them so that you extract the learning and move ahead. We use labels all the time to simplify life. 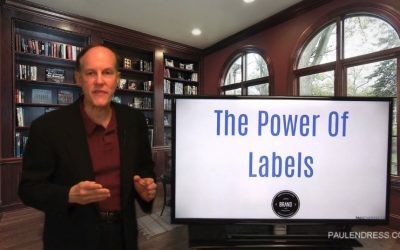 The reason we use labels is because there’s so much information in the world that we can’t process every piece of it individually. So we group things together and we put labels on them. We have to do this to keep from being overwhelmed and maintain our sanity. Think about the labels you use for yourself and those around you. 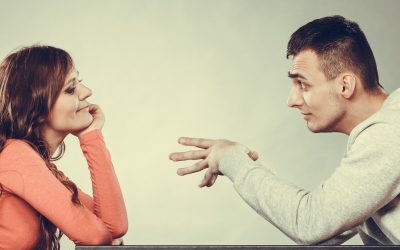 Communication in relationships can be some of our most challenging communication because romantic partners know each other so well and unempowering communication patterns can creep in from almost the beginning of the relationship. In this article, I show you exactly how to break existing patterns and use effective communication to create a path to intimacy in any relationship. Download and use my ten agreements as a starting point and enjoy the results! Have you ever had to deal with emotional blackmail? Emotional blackmail is when somebody threatens you in such a way that if you do or don’t do something, they’re going to unleash an emotion on you. Here’s how emotional blackmail works and what to do about it. 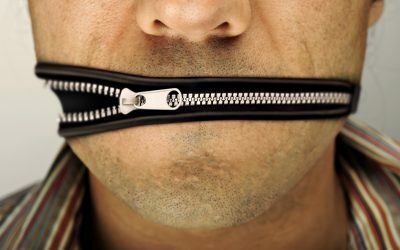 Effective communication can be uncomfortable because most people have never had any training in how to communicate effectively. In this short video learn why effective communication can be uncomfortable and what to do about it. Yes, there really are difficult people! In this post you will learn the only reason why people are difficult, and a simple three step strategy to get your difficult person to stop being difficult with you. Do you ever finish someones sentence for them? The reason you finish other people sentences for them is because your brain can think faster than they can talk. Here’s a communication strategy you can use right now to stop finishing other people’s sentences.